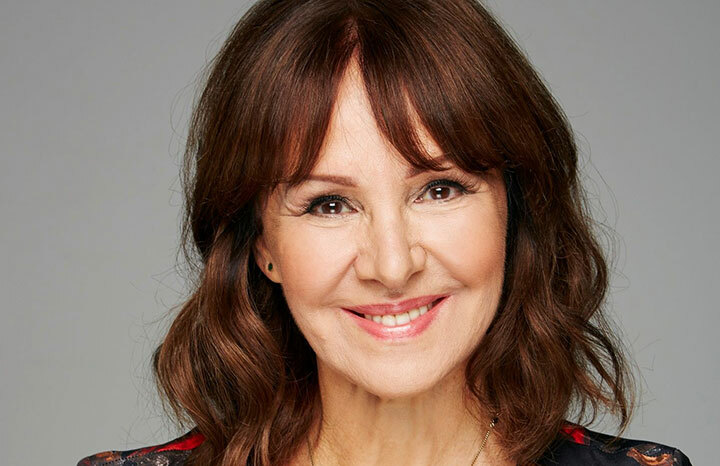 Dancer and choreographer Arlene Phillips isn't shy about people knowing she's 73 – not that she looks or acts it! Now she's revealed just how she's managed to defy the years and stay looking so fabulous right into her Seventies. “Keeping active and filling each day keeps me young,” she says. “I’m still dancing all the time and I’m always up for taking on new challenges. Having my family around keeps me young, as well. I’ve one daughter who’s living at home (Abi, 25) and another daughter (Alana, 36), who I see very regularly, so I don’t feel like my life has actually changed that much in the past few years. That’s why Arlene is appearing as an ambassador for a recent study, called The Colour Report, which reveals that today’s retirees are more youthful than ever. 79 per cent of retirees feel up to 20 years younger than their biological age, while 94 per cent think their experience of retirement is very different to their parents., according to the study, commissioned by retirement home builder McCarthy & Stone. Getting older brings with it plenty of pluses, to boot, says Arlene. “The great advantage of getting older is that I can kick my heels off and not worry about what everyone’s going to think about me or what I say. I really believe confidence comes with age. For all her many great successes Arlene has faced her fair share of life challenges. Aged just 15, Arlene's mother died from leukaemia, aged 43, leaving her dad to bring up their family of three children. Then, just as Arlene was starting to make her name as a television personality, her beloved dad, Abraham, was diagnosed with dementia – an experience that she describes as “devastating”. “Dad was extremely sharp and would walk miles every day, so to see him start to get lost on these wonderful walks was awful.” Although Arlene’s father passed away in 2000, she is still an active supporter of the Alzheimer’s Society. Arlene's also keen to make the most of every single day. And her latest project certainly keeps her on her toes. As choreographer for Jackie The Musical, she’s working her charm to create a nostalgic show that celebrates one of our favourite magazines of yesteryear, complete with a soundtrack from all our favourite Seventies dreamboats, including David Cassidy and Donny Osmond. In her spare time, she’s fulfilling a lifelong ambition to learn how to cook, after being the first to be eliminated on Celebrity Masterchef last year – which she says was great fun, but a bit of a “disaaaster” after she managed to drop burning caramel on her foot! Arlene also has one big ambition left. “I would love to learn how to ski,” she says. “I’ve never been because I’m so accident prone. So I’ve always been cautious because I need my legs to dance. But when I give up dancing, I want to get on a pair of skis and just try going down a mountainside.” Fearless and determined as ever, we’re certain she’d do it with all her typical grace. Arlene firstbecame a household name as the director and choreographer of Hot Gossip, a British dance troupe which she formed in 1974 using students she was teaching at the time. Hot Gossip became a regular feature of The Kenny Everett Show. It was during this time that Hot Gossip made their only hit record backing Sarah Brightman on "I Lost My Heart to a Starship Trooper"
Arlene has also been a judge on the UK version of So You Think You Can Dance?